If you have bad credit and need a loan a cosigner can improve your chances of being approved. Here are some things to consider when looking for a cosigner. The main criteria most traditional lenders use when deciding if they’ll approve your loan application is your credit score. That can make it difficult for borrowers with bad credit, thin credit, or no credit to get a loan. Even if a loan is offered, it will probably have unfavorable terms, like high interest rates. Having a cosigner is one alternative when you need a loan quickly and don’t have time to improve your credit score. YKeep reading to learn more about finding a cosigner. When someone cosigns your loan, they agree to pay the debt if you fail to do so. This means they are equally responsible for full repayment to the lender. As a result, the lender perceives you as less of a risk and your chances of being approved increase. Just because you found a cosigner doesn't automatically mean you'll be approved for the personal loan you're looking for. If you find someone who's willing to cosign your loan, but they also have bad credit, it's not going to help your cause. Lenders will see this as a risk and offer you high-interest rates or potentially reject the loan application completely. Instead, make sure you find a cosigner with excellent credit. The higher their credit score is, the greater chance you have of getting approved. Plus, the loan terms will be in your favor. Don't just ask someone if they have good credit and take their word for it. Even though most people believe that their score is average or above average, you should still ask them to show you their credit score and credit report. This can be a delicate conversion since they are the ones doing you a favor by cosigning your loan. But I believe they would see the situation from your point-of-view if they know how important this loan is to you. So just make sure that you ask politely and don't make it seem like you're bossing them around. If you offend them, they may ultimately back out of being your cosigner. Just explain how important this is to you, and you just need to verify the credit score before you apply. So you think you found a cosigner that will help you get approved for a bad credit loan—that's great news! But before you apply for a loan, you need to make sure that the cosigner qualifies. Review all of the requirements, such as the minimum credit score or income before you consider applying. Furthermore, you need to also make sure that your lender accepts applications with a cosigner. If not, you'll need to keep looking. Find a lender and type of loan that allows you to do this based on your cosigner's qualifications. So refer back to what we previously discussed about asking your cosigner to show proof of their credit score, which will save both you time when it comes to applying. Let's take this concept one step further. Just because your cosigner qualifies for a loan, it doesn't mean that you should automatically apply for it. Why? Well, not all loans are the same, so don't apply for a loan unless it fits your needs. For starters, take a look at the amount. If the loan being offered is too much, then you might have trouble paying it back based on your income and financial situation. But if it's not enough money, then it won't help you with whatever it is that you need the money for. Make sense? You need to be sure that you'll be able to make your monthly payments for whatever loan you decide to apply for. The bottom line is this: Don't just apply because you found a lender that accepts cosigners and the cosigner qualifies. You need to take other factors into consideration. It's in your best interest to shop around with other lenders to see if you're getting the best loan terms for both you and your cosigner. Remember, the cosigner is equally responsible for repayment, so they need to be comfortable with all of the terms as well. When it comes to money, these types of conversations can be a bit awkward, so it's important for you to be direct and just ask. Fully disclose all of your reasons for needing help. If you have bad credit, explain to them what factors ended up hurting your score. Tell the prospective cosigner about your current income and other personal financial information that shows them that you're willing and able to repay the loan by yourself. Let them know that it's simply the sheer technicality of your credit score not being the right number that is the reason for you asking them to cosign. This will help put their mind at ease that they won't have to pay back the loan due to a situation where you are no longer able to pay. Tell them exactly what you need to use the borrowed money for. Your best bet is to start your search with your closest family members. Ask your parents, siblings, and grandparents. You could even ask your aunts, uncles, or cousins for help as well, depending on your relationship with them. If you have a strong relationship with these people, they may be more willing to help you out. Just be prepared to answer any questions that the prospective cosigner might have about the loan. It's your job to know all of the details. If you're unable to answer their questions, they may be hesitant to help you out because you appear unprepared. Don't be surprised or discouraged if this conversation doesn't go as well as you planned. Some people just aren't comfortable with this. When someone tells you no, it doesn't mean that you should completely give up on your search. You're not asking for a small favor, so just realize that not everyone is willing to take on this type of financial liability for your sake. Don't take it personally and let it affect your relationship with whoever you asked. Just move on to the next person and try your luck again. Don't be deceitful when you're looking for a cosigner. Telling them that you need help getting money and all they need to do is come to the bank to sign something isn't fully disclosing the terms. There are risks involved for the cosigner, and it's your job to explain this to them. If you can't pay back what you owe to the lender, it becomes their job to do so. Both your credit score and their's will take a plunge if the loan isn't repaid. In addition to having trouble getting a loan, they may even have problems getting approved for a new apartment lease, or anything else that's related to their credit history. There could be times when a cosigner is completely unaware that these things are happening. If you miss payments or you're late a few times, it's not like the cosigner will be immediately notified. They are trusting you to keep your word. Their credit score could be damaged due to your actions and without them even knowing it. Don't get me wrong; I'm not saying these things to try and scare you away or deter you from getting a cosigned loan. In fact, I encourage you to apply for a cosigned loan. It's a great way to borrow money with bad credit and improve your personal credit score at the same time. But when money gets involved between two people, it can damage relationships, and I personally believe that relationships with friends and family are more important than money. 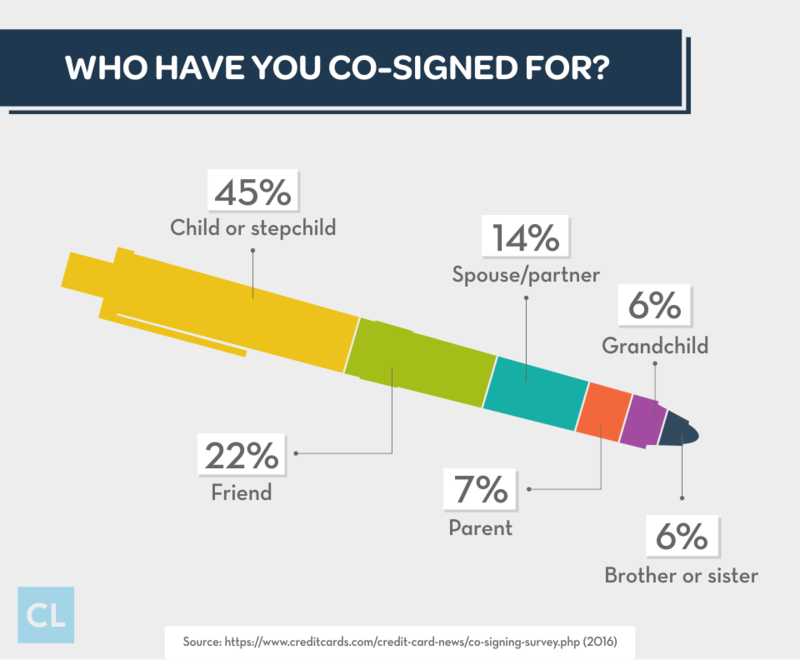 So both you and the cosigner need to be aware of all of this before you make this type of legal obligation with a lender. 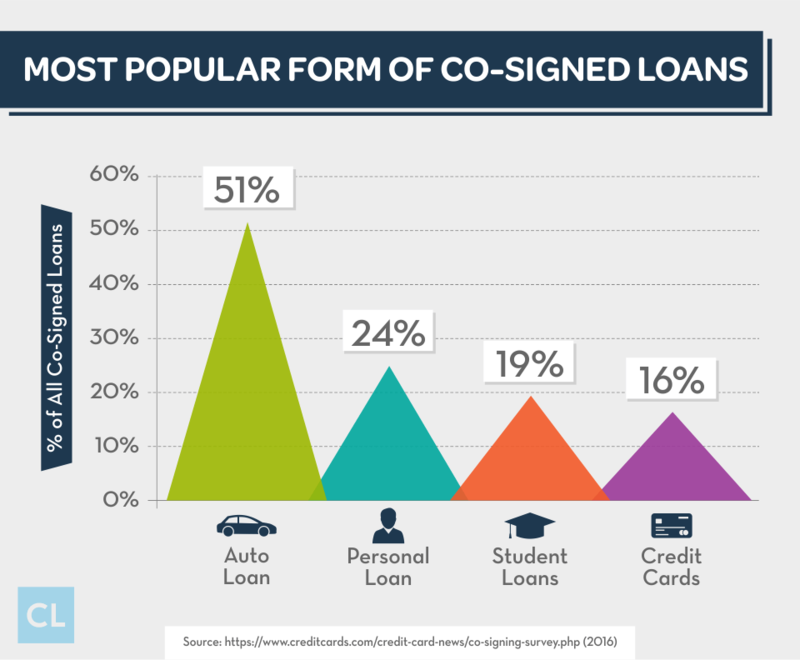 Ultimately, finding a cosigner will increase your chances of getting approved for a loan if you have bad credit. As a result, not only will you be able to secure the funds that you need, but you'll also be able to repair your credit by making monthly payments on time. Cosigned loans are also a great option for young people who have no credit, or a thin credit history. But before you proceed with this, just make sure that you find a loan that fits your needs. Look for loans that the cosigner will qualify for. Make sure that both you and the cosigner understand the terms of the loan and the equal responsibility for repayment. Have you had success getting approved for a loan with a cosigner?